What’s A Good Rope Access Technician Salary? Considering a career in rope access? Here’s good news! An experienced rope access technician can earn up to $200 a day but ofcourse, it takes a lot of study, time and hard work to get to that level. IRATA and SPRAT are the main training bodies that support this structure. How to get Qualified for Rope Access? To get a job in rope access, you’ve to complete level one IRATA or SPRAT assessment and get your certificate, without which no reputable rope access companies will hire you. How much will the Training Courses cost you? For Training courses, you’ll have to spend around $1,000 but passing these courses will surely unlock prospective earnings and you’ll earn your money back in no time. What is the Rope Access Technician Salary? If you are a qualified level one rope access technician, you can earn between $50 – $70 per day. Level two rope access technicians get a salary between $70 and $85 per day and a qualified level three technician earns $100 and above on an average. These salaries are averages taken across the markets of Asia, Middle East and Africa in 2017-18. Want to know what else can affect the range of your salary? It’s your ability to negotiate, the pay structure of your company, the certificates you possess and the living costs of your state. Window cleaning isn’t a high paying job. With level one IRATA or SPRAT, it can get you less than someone who can repair a wind turbine or perform an Advanced NDT such as PEC. For all those with a desirable skill, you can break into the rope access industry. All the qualified engineers and technicians, the companies that will hire you will pay for your IRATA assessments. Getting their hours logged on rope, a tech with little or no skills will take up painting, window cleaning and other general maintenance jobs. How many hours of work are required? Rope access technicians have to their personal log book, containing a record of every hour that they spend on ropes. This books acts as a reference for your work history too. Many companies request copies of your logbook while they’re in the process of hiring you. It is therefore important to maintain your logbook, update it regularly and have it signed by a supervisor/level 3. Also, you need to include the important details of the work, risks faced and action taken to avoid them. After IRATA Level 1, you need at least one year and 1000 hours logged as a level one and you can progress to IRATA Level 2. For Level 3, you need 1000 hours and one year as a Level 2 rope access technician. So, getting hours and hours of work even if it is low paid is what is preferable. And when you progress to the next level, your salary will also increase. As you grow, you’ll be expected to have the knowledge and ability to perform rescues and also carry out rigging. The main responsibilities of a Level three rope access technician are team management, consulting, risk assessments and safety advisory. After Level 3, you spend very less time on the ropes. If you’re doing a permanent job as a Level 3 technician, your annual salary for a permanent job can be between $25,000 and $40,000. You will also be given benefits like paid holidays and good medical facilities as a senior employee. Most of the L3 technicians often find contracting as lucrative and so they prefer setting up as independent self-employed consultants which means that they’re free to pursue contracts whenever they want. In case of a refinery or factory shutting down for maintenance, they’re losing large amount of money and will pay $100s of dollars a week to someone who gets them back online quickly and safely. An L3 will oversee rope access crews on a short-term contract for huge sums of money. For rope access technicians, the prospects remain very strong, especially in Asia, Middle East and Africa. 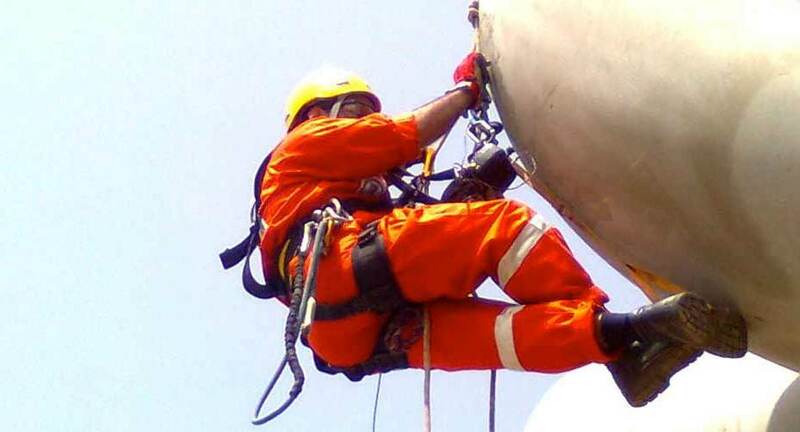 Industries like wind energy are generating huge demand for technicians and engineers qualified in rope access. There’s no easy way out to be a rope access technician but your hard work will definitely pay you good.